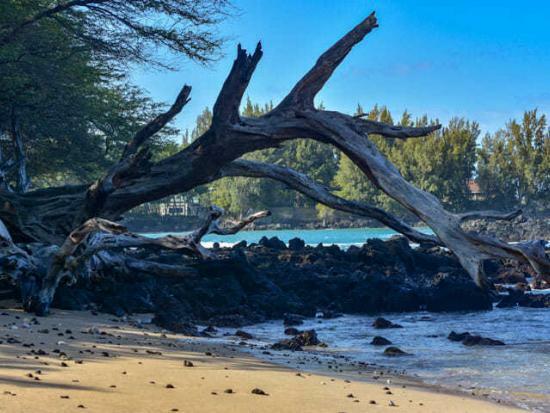 During our visit to the Hawaii’s Big Island, we fell in love with Waialea Beach. Locals know it as Beach 69 because of the number 69 utility pole that is close to the parking lot for this beach. Waialea Beach is amazingly beautiful. It is quiet, lots of shade, and close facilities. We visited in February, so the high surf warnings everyday and it was too dangerous for swimming or snorkeling. Even boogie boarding for amateurs and locals was rough. That didn’t spoil it for us… This place is amazing! Since we are early risers, we were at the beach first thing in the morning and were able to grab a nice spot. We sat under some large trees right near the water and camped out for the day. The trees are very large with branches touching the sand in some spots creating some privacy. The view is spectacular and the amenities are clean and close to the beach. The only drawback from some is that there is no food for purchase nearby, so bring water and whatever else you might want to drink or eat while you are there with you. There is a fountain so you can refill your bottles. If you are traveling with little ones be aware that there are no life guards on duty at Waialea Beach. One of the best parts of Waialea Beach is that there isn’t a hike to get to it (unlike so many in the area). Bonus: the+ parking is free (it was when we were there. This may have changed). It seems like most tourists go a few hundred yards up the road to Hapuna Park, pay to park and get no shade, so take advantage of this little gem! 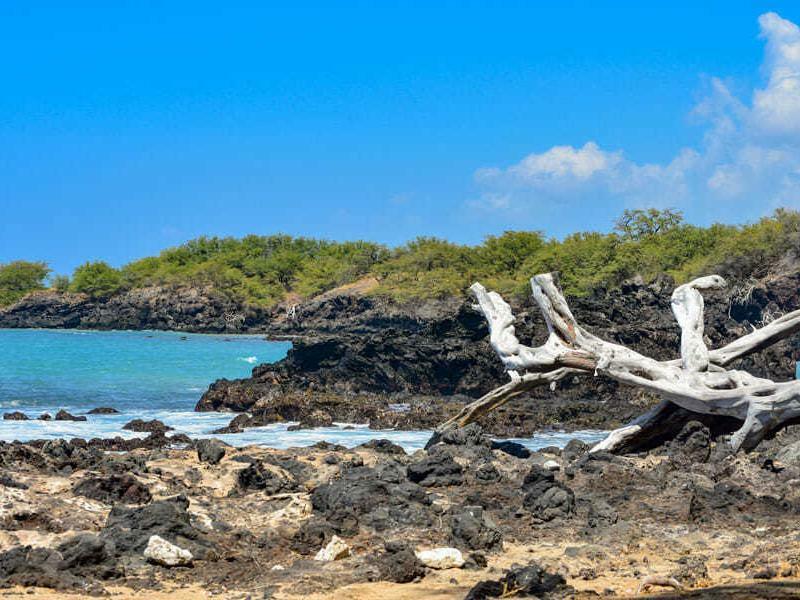 From Kona/Waikoloa resorts, take highway 19 north and Turn to the left on the exit after the resorts, onto Puako Beach Drive. If you see the exit to Hapuna Beach, you have gone too far. 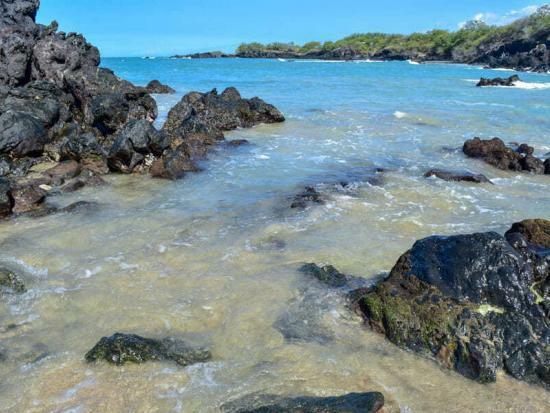 Once you are on the Puako Beach Drive, take the first right onto the Old Puako Road. Pay attention to the numbers on the telephone pole and turn left between poles 69 and 70 (about half a mile). If you are staying in a condo, they typically have some beach chairs to use. Don’t forget to bring them with you, it will make your beach lounging experience infinitely more enjoyable. If you aren’t but are big beach goers and staying for a while, consider stopping in at Costco and getting some of the Tommy Bahama chairs. We love these chairs!